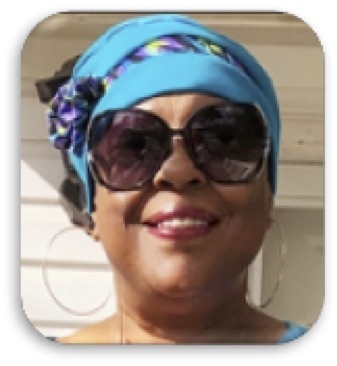 Obituary for Ernestine Baker | Larry Smith-Cooper Funeral Home, Inc.
Ernestine “Tine” Baker of Dillon, South Carolina passed away peacefully on March 17, 2019. Ernestinewas born on April 6, 1957 in Detroit, Michigan to Ernest Baker and Louise Johnson. She was reared by Fletcher and Ella Nance Vereen (sister of maternal grandmother). She attended the Lake View School and was previously employed by the Dillon County School System. Ernestinelived, laughed, and loved life and would encourage you to partake in her joy. Her love of life lead to her adventure to relocate without noticed. She migrated north, living in New Jersey, Washington and Maryland for numerous of years. When the environment became too cold, to Texas she traveled. Although she lived in several states but South Carolina was her home. The home where she was happy. Ernestineloved to cook and dance and was great at both. Her door was always open to family and friends and when you extend she made you feel comfortable and loved. Ernestineis survived by her children: Darrell Baker of Corpus Christi, TX, Kim Baker of Dillon, SC, Felicia Baker of Irvington, NJ and Samantha Akinduro of Adelphi, MD; her sisters: Verina Johnson Paige of Woldorf, MD, Carol Johnson of Washington, DC, Frances Baker of Lake View, SC, Ella Louise Vereen of Greensboro, NC, sister: Vera Johnson preceded her in death; brother: Fletcher Jerome Vereen (Doris Vereen, sister-in-law) and Grady Johnson also preceded her in death; seven grandchildren and a host of nieces, nephews, cousins and friends and her beloved dog Tinkerbell.